Life is Strange was a really successful game and got a lot of praise. 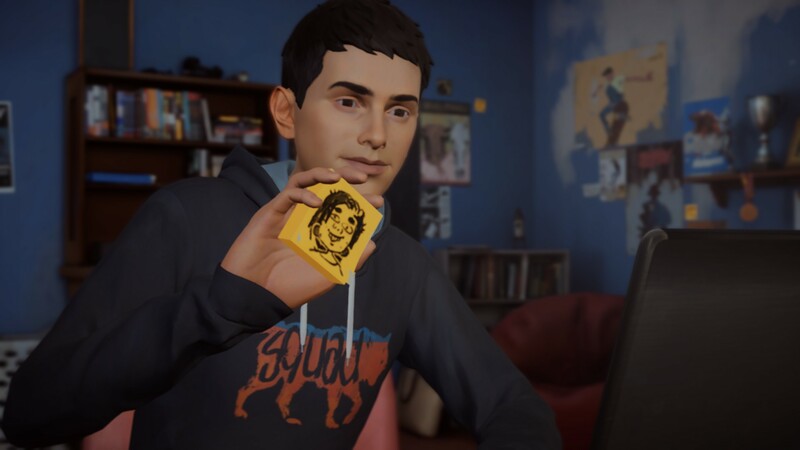 After Life is Strange came Life is Strange: Before the Storm, which was a prequel and explained more about what happened before the events of Life is Strange. Now after 3 years, Life is Strange 2 is here. This time you will follow Sean and Daniel Diaz, two brothers on a road trip. Life is Strange 2 is developed by DONTNOD Entertainment and published by Square Enix. 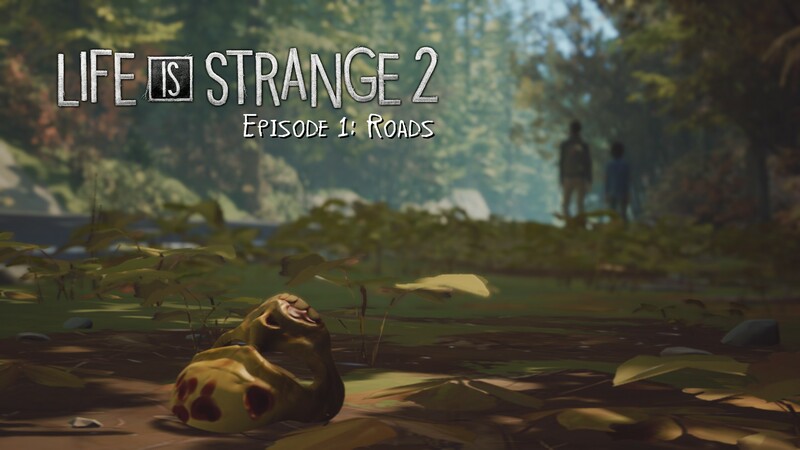 We got the opportunity to review Life is Strange 2 starting with episode 1. We loved the two other games in the series so were very happy to give Life is Strange 2 a try. So after preparing ourselves emotionally, we were ready for a journey with Sean and Daniel. Sean Diaz lives together with his younger brother and dad in a nice home. He is a typical teenager and is preparing with his best friend for a Halloween party. His best friend, or best Freakin’ Fighter as they call it, is Lyla. She convinced him to come and even helped him with contacting his crush. To prepare for the party; Lyla tasks Sean with collecting several things and afterward skype her, to let her know he’s done. Which he does, but while he is skyping her his little brother, Daniel, comes storming into the room. Of course, he sends him away annoyed that he didn’t even knock. Lyla criticises him for that because she likes Daniel. As they keep skyping and talking about his crush, Sean suddenly notices Daniel in trouble outside, so he rushes to his aid. Daniel is in a fight with the neighbor because he accidentally spilled zombie blood over the neighbor’s shirt. Sean steps in and defends his younger brother. Things get a bit rough and Sean starts fighting with the neighbor. At a certain point, the neighbor falls badly on a stone after a hit from Sean. Just at that point a cop steps in. This cop completely overreacts and doesn’t listen to Sean or Daniel and makes them lay down on the ground. Sean and Daniel’s father comes in at this point and starts trying to defend his sons. However, the cop overreacts even more and gets scared and pulls the trigger. At that point, everything goes bad. When Sean gains consciousness again after blacking out, he runs away with Daniel. As you play the story, like in the other Life is Strange series, you can look around and discover more about the story by reading everything. Talking to your dad and Daniel also gives you more information about the story. As you continue you will also get choices which will affect the continuation of the story and how your relationship with Daniel will be. Life is Strange 2 has the typical style from the previous Life is Strange games. With the MOCAP the characters’ faces are really expressive and like the other games in the series, the tears look a bit odd. The backgrounds in the game look really detailed and beautiful. At times you get a view of the scenery and together with the sunset it gives a real wow effect. There are a few bugs present like the lighting in an area that is glitching out or a hand that goes a bit inside an arm. In the forest, there was also a loop of butterflies that looked a bit odd since the butterflies disappeared and appeared oddly and they went away and back way too quickly for it to appear normal. The music in Life is Strange 2 is very lovely and fits with the emotional mood throughout the game perfectly. The score is very similar to the first Life is Strange game which makes sense since the composer, Jonathan Morali, of the OST for Life is Strange is back to score Life is Strange 2. Voice acting in Life is Strange 2 is very well done. They picked the right people to fit in with the characters and the voice actors did a good job voicing their character’s emotions. 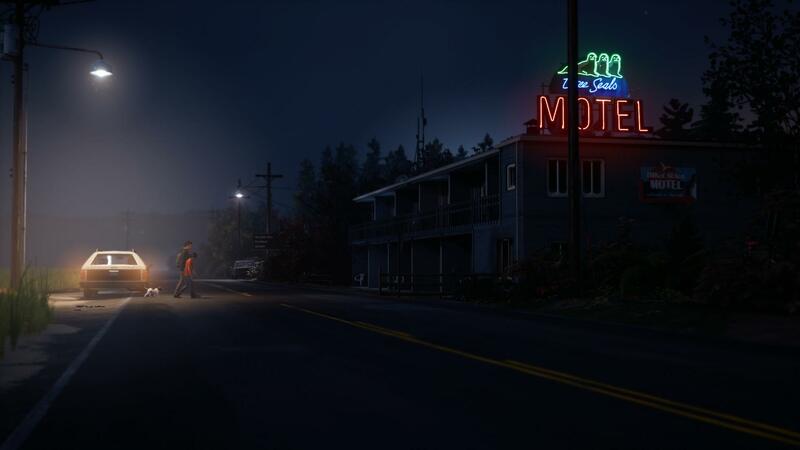 Life is Strange 2 is an adventure game where you will go on a road trip with two brothers. 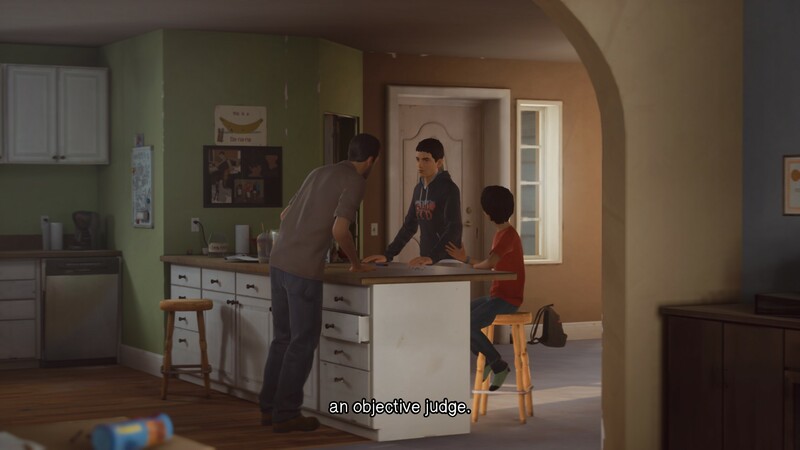 You will play as the older brother Sean Diaz who, after a dreadful event, has to run away with his brother Daniel. As you go on a, almost forced, road trip you have to take care of your brother. You only have limited supplies and only a small bit of cash, so it is your job to be the guardian and teacher of your brother. Before the event, Sean was just a regular teenager that wanted to go to a Halloween party. He even didn’t really like spending time with his brother anymore. This was of course just the regular sibling annoyance. As you walk around the Diaz’ house you find out more about the family. There are quite a few things you can discover by just reading everything, which is a total must so you don’t miss anything. While walking around the house you also gather supplies for the party. You get a few choices but can only pick one. These choices will matter, so you have to pick which you think is best. You also get choices for conversations with other people. These choices will influence their opinion of you or how they act. There are also a few choices that you can make on the road trip that will influence Daniel. He looks up to you and learns from your actions. You will have to keep this in mind when you decide to do things. However, there isn’t always a correct choice, you will have to decide what you as a player, think is best. This makes it so you could end up with a bit of a different story than your friends or other players. Sean is a creative person, who loves to draw. So instead of taking pictures like Max in Life is Strange, he draws sketches of his environment. There are a few places that you will be able to make Sean sit down and draw the environment. You make him study the scenery and then draw, then study again and draw until you feel like he is finished. He also keeps a journal which mostly exists out of drawings of his situation. His emotions get expressed in his art and scribbles. You can also collect souvenirs from every place you’ve visited. These souvenirs you can hang on Sean’s bag. There are a few you automatically get but there are more, that you actually have to find and pick up. 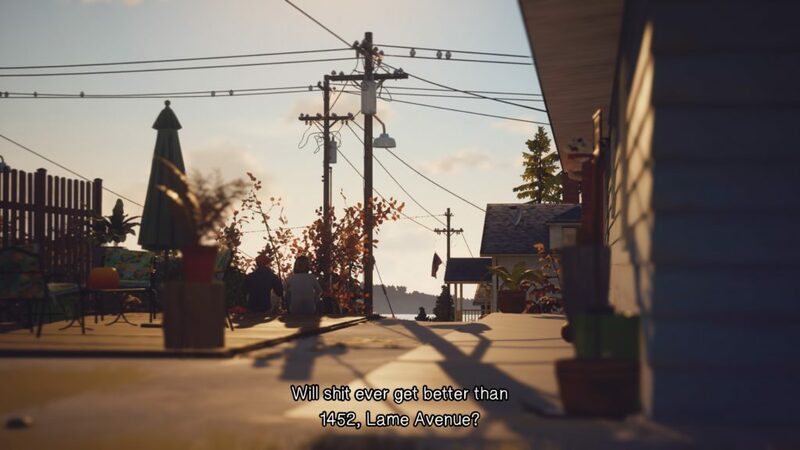 Before you start Life is Strange 2 you get a pop up that asks if you played the first game and what your choice was at the end of the game. They ask this because there will be a nice reference to the first game included. Since you play in the same universe it’s not that weird that you come across references. Of course, the famous Hawt Dawg Man is also back in Life is Strange 2. Life is Strange 2 is a really emotional game that will make you feel the strength of the bond between brothers. The choices that you make will make you think about what you would pick if it happened to you. It will also teach you to not judge so quickly and not believe everything you hear/read. The first episode isn’t that long but really makes you want to play again out of curiosity to see how different choices influenced the story differently. If you like Life is Strange then Life is Strange 2 is certainly recommended, you will get treated with a different but still emotional story. 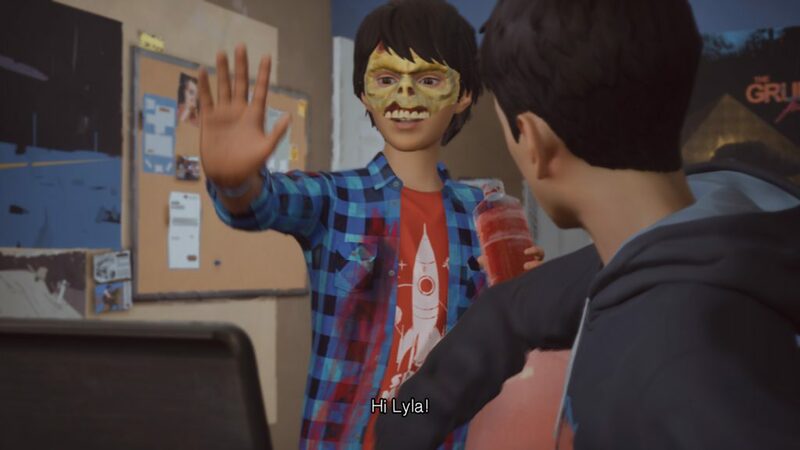 People that haven’t played Life is Strange yet can either play that first or just start with Life is Strange 2, since it isn’t really a follow up to the previous story.